The Common Issues trial was the first trial in the Bates and others v Post Office group litigation at the High Court. It was held at the Rolls Building between Wed 7 Nov and Thu 6 Dec 2018. Mr Justice Fraser presided. The judgment was handed down on 15 March 2019. You can read it here. It is 180,000 words long. 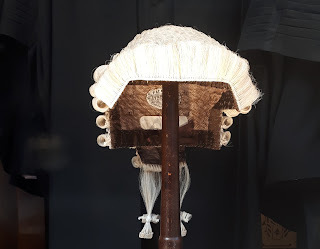 If you'd prefer something a little shorter, there is my bluffer's guide to the Common Issues judgment. You can read it here in five minutes. There's also my report on what happened in and outside of court when the judgment was handed down. It's called "He did it." See the bottom of this post for more reaction to the judgment. See the bottom of this post for more reaction to the judgment, including press cuttings. The Common Issues - what the first trial was contested on. Claim particulars - what this group litigation is about. Generic defence and counterclaim - the Post Office's defence. Also, before you start, you might like to read a pre-trial judgment (judgment no.2) - handed down on 20 October - a couple of weeks before the trial started - in which the Post Office's attempts to get lots of evidence ruled inadmissible was struck out. It is quite entertaining. Claimants' opening statement - Mr Patrick Green QC. Defendant's opening statement - Mr David Cavender QC. Write-up: "Alan Bates and Pam Stubbs take the stand"
Write-up: "Pam Stubbs finishes being cross-examined". Write-up: "Naushad Abdulla and Liz Stockdale". Write-up: "Final Lead Claimant is cross-examined". Supporting information: Louise Dar's witness statement. Nick Beal, Head of Agents’ Development and Renumeration, Post Office Ltd (witness statement here). Paul Williams, Restrictions Advisor, Post Office Ltd (witness statement here). Write-up: "The Post Office speaks!" Sarah Rimmer, Agent Remuneration and Expenses Manager, Post Office Ltd (witness statement here). John Breeden, Head of Agency Contracts, Post Office Ltd (witness statement here). Angela van den Bogerd, People Services Director, Post Office Ltd (witness statement here) part 1. Write-up: "Angela van den Bogerd part 1"
Angela van den Bogerd, People Services Director, Post Office Ltd - part 2. Write-up: "Best of Angela van den Bogerd part 2"
Angela van den Bogerd, People Services Director, Post Office Ltd - part 3. Timothy Dance, Retail Transformation Integration Manager, Post Office Ltd (witness statement here). Helen Dickinson, Security Team Leader, Post Office Ltd (witness statement here). 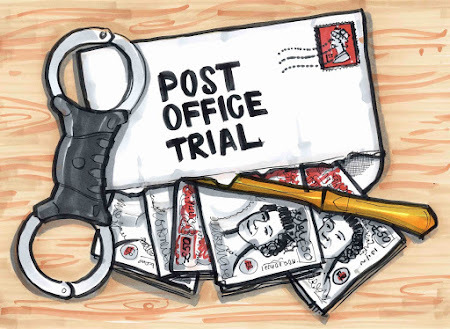 Extra piece by me: Did the Post Office prosecute Subpostmasters in order to seize their assets? Michael Shields, Temporary Subpostmaster Advisor, Post Office Ltd - part 2. Elaine Ridge, Network Contract Advisor, Post Office Ltd (witness statement here). David Longbottom, Training and Audit Advisor, Post Office Ltd (witness statement here). Michael Webb, Training and Audit Advisor, Post Office Ltd (witness statement here). Write-up: "The Long and Windy Road". Internal Post Office email chain "she is questioning the integrity of Horizon"
Michael Haworth, Network Engagement Manager, Post Office Ltd (witness statement here). Andrew Carpenter, Agents Contract Advisor, Post Office Ltd (witness statement here). Write-up: "The joy of text". There's also a cameo from me at the beginning of the day, if you're interested: Application to make an unofficial sound recording of proceedings. Written closing statement from the claimants' QC. Extra piece by me: CCRC gets interested in the Common Issues trial. Write up: "Something very serious happened today." Write up: "What the Post Office did next". Written closing statement from the Post Office QC. Write up: "Not even the end of the beginning".